At Shore Industrial Supply our mission is to be the best supplier of quality materials and service to our customers. That means that you can count on Shore Industrial Supply for quality products, excellent prices, abundant inventory, speedy delivery, top-notch customer service and competitive value. 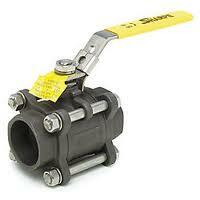 We offer a variety of pipe, valve, fittings and plumbing supplies and accessories. In addition, we're the largest distributor of Gastite products in New Jersey. As a subsidiary of The Ideal Supply Company in Jersey City, New Jersey, we have added access to products and inventory that will ensure your projects remain on track.